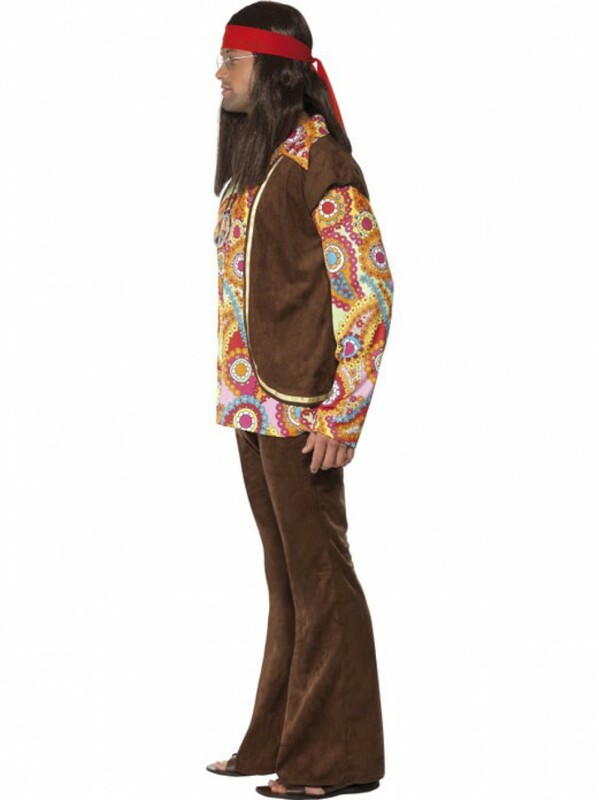 This fun Hippie Costume with Top, Trousers & Waistcoat has a paisley design which is ideal for any swinging sixties party! 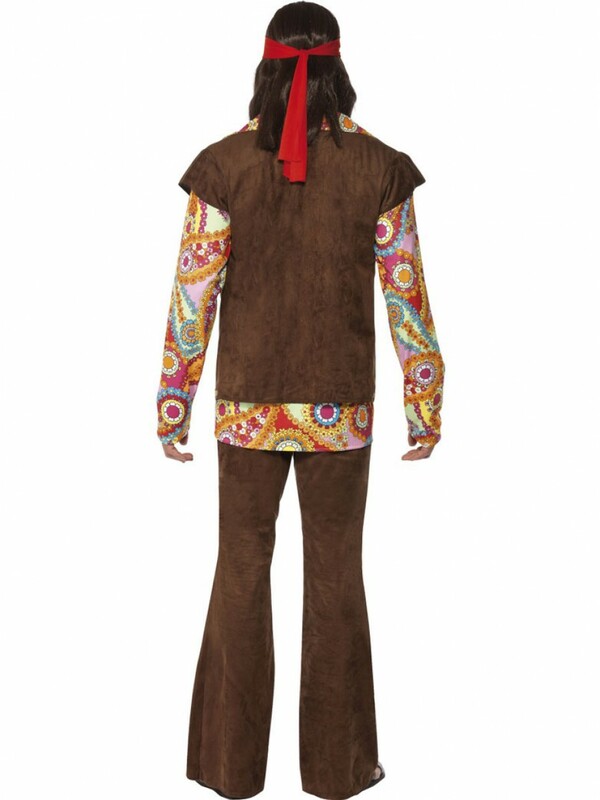 This Hippie Costume includes a Top, Trousers and Waistcoat. The top has a colourful paisley pattern, long sleeves and large collar. The brown waistcoat goes over the top and has a gold hem detail on the front. 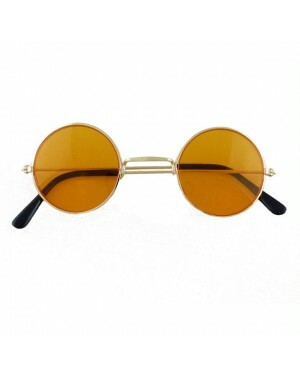 The matching brown trousers have an elasticated waist for comfort. 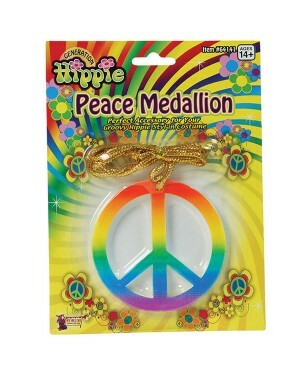 This groovy Hippie Costume is a classic for a 60s theme or any fun fancy dress party! 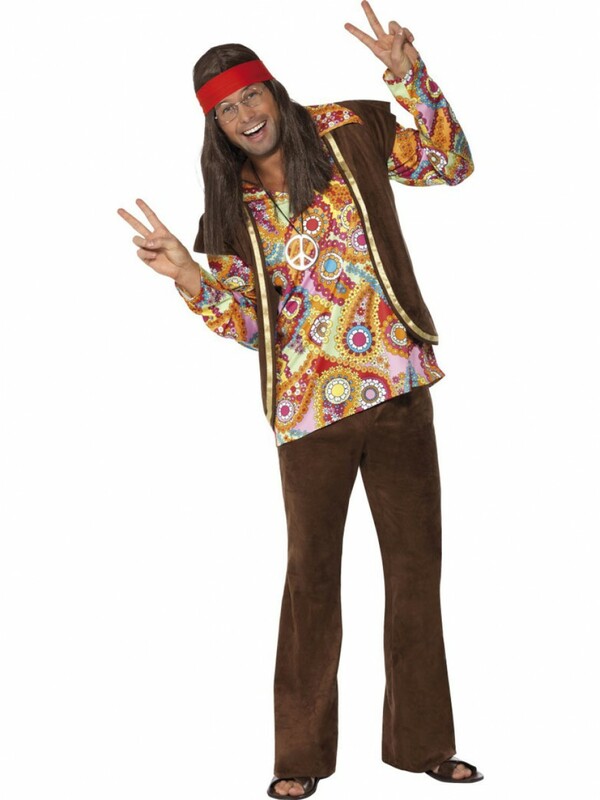 Hippie Costume which includes Trousers, Top and Waistcoat.